Roughly half the members of the Scappoose Senior Center voted in a recent mail ballot poll on whether to change the center's name. Of those that voted, 57 percent agreed to call it the Scappoose Community and Senior Center. The name change has been months in the making, at the behest of senior center leadership who say the center is losing members and needs to revive its presence in the community by inviting more age groups. "The name change was approved, now we just need to make it official with paperwork," Julie Stephens, director of the center, said Monday. "Many Center members and community members as well, have expressed excitement over how this addition to our name could impact us as we move forward into the future," a November newsletter from the center states. Despite approval for the change, not everyone has been on board. During a September meeting of the center's board of directors, Sharon Evinger voiced concern over recent changes at the center and told directors and Stephens that many feel the loss of a daily lunchtime meal program and lack of organized activities has led them to stop coming. The conjugate meal program offered a hot meal for purchase to seniors, but was cut in February due to scarce federal funding for the program and a lack of alternative revenue to support the cost of meals. A few months later, the center began offering hot soup and bread for purchase, in an effort to offer something in place of the lunch program. Evinger also conveyed concern about recent decisions among senior center leadership to the Scappoose City Council, to the dismay of Stephens and other center members. Evinger told the Spotlight via email in September that she requested a statement of protest be included with the ballots being mailed out. "I have done what I can do and now hope for the best," Evinger stated. Evinger isn't the only one critical of recent changes at the center. Scappoose councilors and city staff say they've reached out to state and local agencies to find out what help, if any, the center can get to restore its meal program and provide more transparency to members. Councilor Megan Greisen said Monday that representatives for the senior center approached the city months ago to get their feedback on the potential name change. "[Stephens] was pretty transparent in saying, 'We're kinda dying off, we're losing people,'" Greisen said. "Seeing seniors not receiving services, like they're not receiving nutritious meals ... I think it's our responsibility to continue to assist them and help them." At the request of councilors, Scappoose City Manager Michael Sykes said he reached out to Community Action Team, the county's agency on aging. "I spoke with them and shared the city's concern about the loss of the meal program at the senior center" Sykes told councilors during a Monday, Nov. 5 meeting. 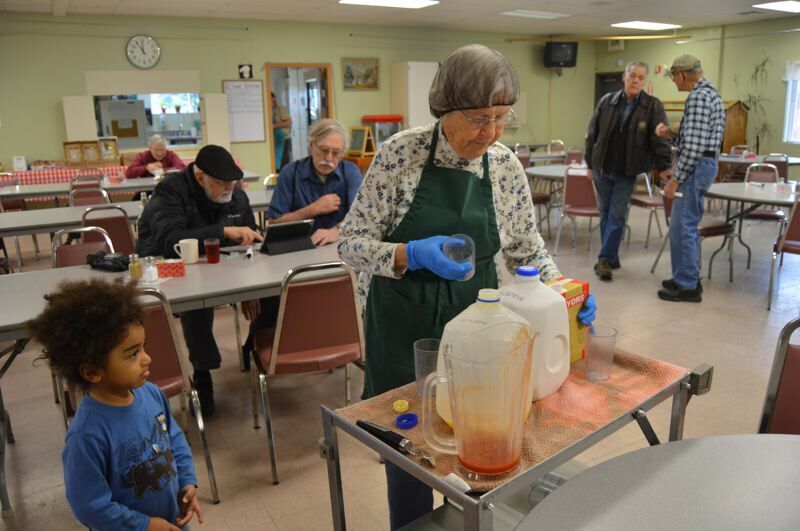 Sykes noted Scappoose isn't the only center struggling to keep its meal program afloat, but other centers have relied on volunteers and small funding assistance from CAT, which may still be available for Scappoose. Sykes noted the community and senior center is a private nonprofit with paid membership, not run by any state agency. "That's a hard issue to try to get your arms around because they have their own board," Sykes said, noting recent exchanges between the center's leadership and some of its members was "discouraging."